Preschool is for children 3 to 5 years of age. We offer a Play-Based licensed Program. We are committed to programming and curriculum that follows British Columbia’s Early Learning Framework. Family Drop In programming focuses in the areas of food security/nutrition education and social-emotional learning for children and parents/caregivers and promoting early childhood literacy. Connects parents/caregivers to local resources, providing parenting workshops, cultural activities and early learning activities. 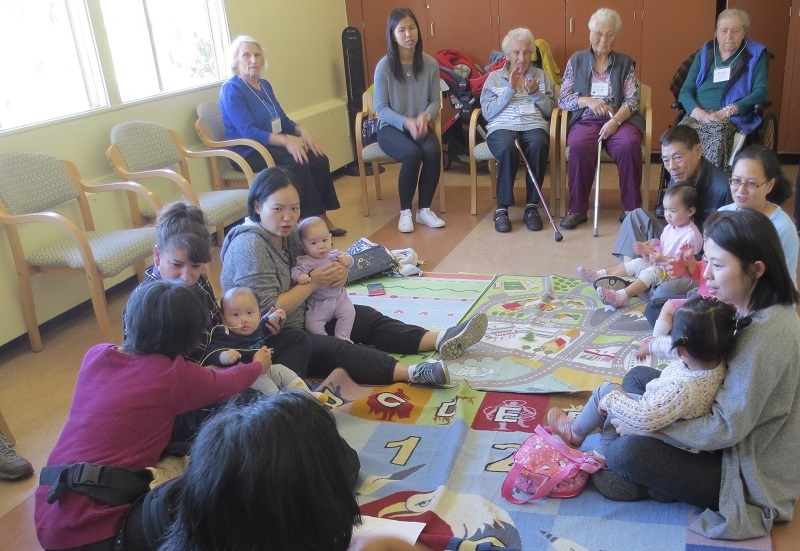 The promotion of early childhood literacy is a core aspect of all drop-in programs through the hands on activities, take-home resources and key messaging to parents and guardians. The Aboriginal Family Drop-in program focuses on food security through the monthly "Cook Ahead" night. This program is also incorporating social-emotional health through monthly culture activities and culturally relevant health partnerships. This program is in partnership with Vancouver Native Health Society. Join us for supper and hands on activities for the whole family (all ages welcome)! Please RSVP for dinner (604)876-4231. Join us in this child-friendly yoga space to breathe, stretch and practice self-care with other parents. Engage your child in fun, hands-on food activities! For children 3-5 years and their parents. Connect with other parents, Coastal Health Nurses, and more! For children 0-2 years old. Contact: For program information and how to register please call the Vancouver Public Library, Mother Goose line at 604 331-3657. Free play, art, stories and more!